I am thrilled to be a part of the Moroccanoil Color Collective! As I mentioned in a fun earlier social post, I have always been a huge fan of the brand and their products. Once the team announced the creation of a formula specifically for colored hair, I knew our partnership would be a perfect match! As someone who has been color-treating thin, fine hair for my entire life, hair care and color care are both so important to me. I can’t-stop-won’t-stop when it comes to staying blonde, so finding a color regimen that works to keep my hair both bright and healthy is absolutely vital. The regimen for long lasting and healthy colored hair starts in the salon with Moroccanoil’s two step ChromaTech service. The first step, ChromaTech PRIME, reduces scalp sensitivity to promote more uniform color, while the second step, ChromaTech POST, through proprietary technology, leaves lasting color with softer and stronger hair. Once the team had my hair all summer ready, it was time to use my new products at home! Moroccanoil Color Complete Shampoo, Conditioner, and Protect & Prevent Spray, work together to restore hair’s health and retain its color. The regimen fights against all the elements that usually dulls my locks, turning my pretty blonde to a more brassy tone. My thin hair is so easily prone to breakage, so the Protect & Prevent Spray has become a really important step in my daily routine. It is a leave in conditioner that is applied to damp hair immediately after showering, protecting throughout the day from all the wonderful elements a NYC summer can bring. 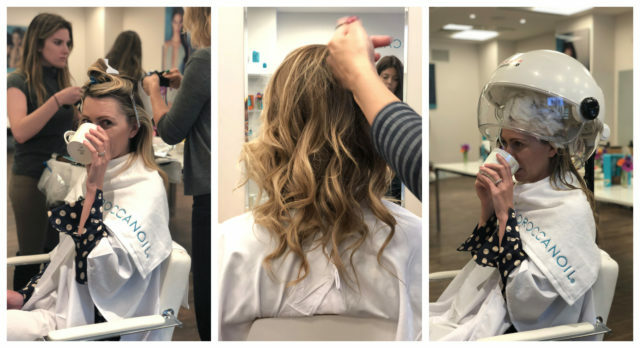 After about six weeks of use, the results are stronger and brighter blonde hair that hasn’t seen the natural dulling or fading that I typically witness, resulting in longer time between visits to the salon. As you know my hair has been a bit of an evolution. In fact, about three years ago and due to heavy damage, I really couldn’t grow it out beyond my shoulders! I am now cutting back on the amount of highlights put in my hair during salon visits to reduce damage. In addition to cutting back on the amount of chemicals I am putting on my hair I am also focusing on protecting my hair from heat damage. Each time I apply heat to my hair (which is daily), I am using a leave-in conditioner, such as the Protect & Prevent Spray, to decrease breakage and get my hair back to a healthy place. My new Moroccanoil Color Complete regimen is a total game-changer. It is helping me continue on a path to healthier hair and I couldn’t be more excited and thankful! Please take a moment to learn ALL about the technology behind the new collection right this way! 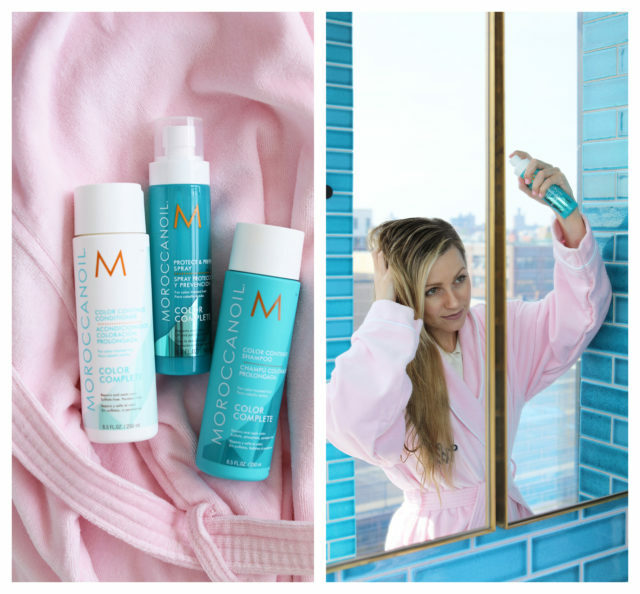 And a huge thank you to Moroccanoil – and their amazing in-salon team – for partnering with me on this campaign! 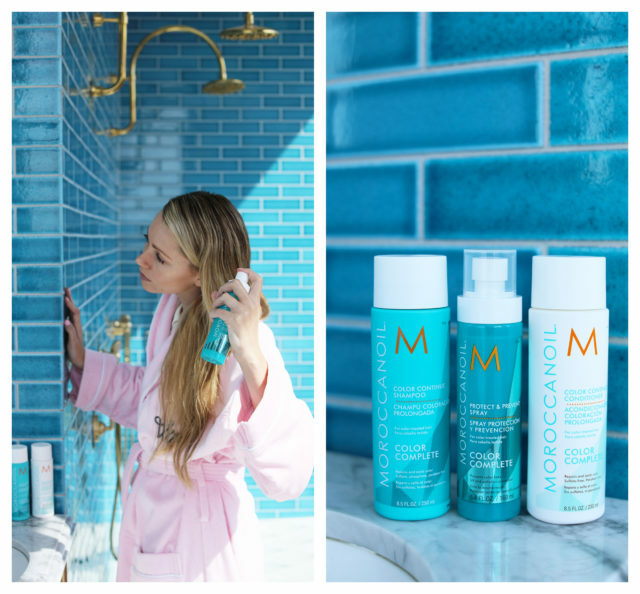 The post MOROCCANOIL // COLOR COMPLETE appeared first on Atlantic-Pacific.